When it comes to buying mailing tubes (also known as shipping tubes), here’s 5 major types of tubes you should know about first. 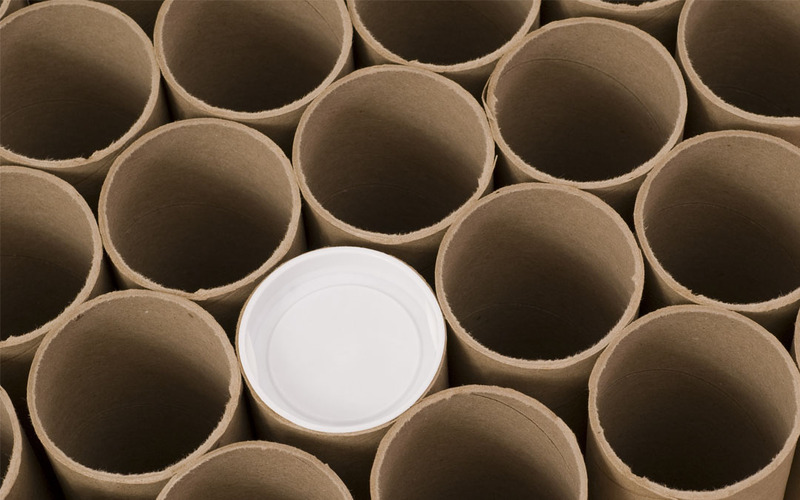 The standard shape everyone knows, round mailing tubes are ideal for storing or shipping posters, blueprints and even ‘hard goods’ such as fishing rods. Constructed using a spiral wound technique, they’re able to withstand the normal rigors of shipping. Though white and kraft tubes are the most readily used, coloured tubes are coming into favour with online retailers and auction sites. One of the more uncommon tube styles, square mailing tubes have several interesting features, while still being ideal for shipping or storing items. Their square opening makes inserting and removing contents easier than using a round mailing tube, while locking tabs remove the need for tape. Their overall square shape also allows them to be stacked, saving valuable floor or shelf space. Arguably the most unique of all tubes, triangle mailing tubes open along the length of the container, rather than at the sides. They’re ideal for ‘hard goods’ like dowels and component pieces, while still accommodating posters, artwork and blueprints. Once secured using the locking tabs, the triangle edges offer extra side protection and enable the tubes to be easily stacked on shelves. The most versatile of tubes, telescopic mailing tubes expand in length to handle artwork and blueprints of varying sizes. Using the same spiral wound technique as their standard round cousins, they withstand the rigors of shipping just as well (if not better, as they’re often made of even stronger material). Their end caps slide over the tube ends and can be sealed with packing tape or a shipping label. The economical option, snap-seal mailing tubes (also called crimped-end tubes) are suitable for shipping non-sensitive or non-valuable papers and materials. They close easily with just a pinch, requiring no tape to seal them, and can be opened again just as easily. They’re reusable, fully recyclable, and a great choice if your shipping budget’s low, or you know your products won’t come into contact with liquids. There’s a lot to learn when it comes to packaging, no doubt. But now you’re 5 minutes more in the know, and ready to make your first purchase of mailing tubes. For more words worth knowing, be sure to visit our Knowledge Center, and stick with The Packaging Company for all your packaging needs. Any words worth knowing you’d like to suggest? Let us know.